Conservation, very broadly, is about stopping things from getting worse: like protecting elephants and chimps in their native lands, or spay/neutering more dogs and cats to prevent more homeless pets from being born. Restoration is slightly different: it’s about giving something back to the animals who have already been screwed over, as in caring for elephants from circuses, or making new homes for abandoned dogs and cats. The thing is, it’s not a zero-sum game in which the benefit to one group of animals means a loss to another group. It’s not an argument over some finite sum of money as to where you can get the most perceived benefit. There’s a need for both approaches, and a win for one can be a win for the other. The two approaches can be described as conservation and restoration. Conservation is often described as “management of natural resources.” And while that’s important, the kind of language that’s often used betrays how human-centered it can become. Living creatures aren’t “resources” that need to be “managed”. They don’t exist for human benefit; they exist for their own benefit. And euphemisms like “stewardship” (popular in the religious community as an alternative to “dominion”) still carry the same arrogant belief that we humans stand at the pinnacle of creation. “Stewardship” acknowledges our claim that the rest of nature exists primarily for our benefit, while tempering this claim with the notion that we should demonstrate our superiority by treating the rest of creation responsibly. It gets even worse when this attitude is used as a rationale for institutionalized abuse. Classic examples would be that sport hunting promotes conservation, that circuses and Shamu shows are educational, and that killing (oops, “euthanizing”) dogs and cats at shelters is a necessary part of saving those not so lucky to have been brought in yet. At its best, conservation can help protect our fellow animals from some of the worst atrocities that we humans are wreaking upon them. And many organizations have embraced the term “compassionate conservation” to emphasize that their work is not about, for example, “conservation of fish stocks” (i.e. for human benefit), but is about protecting the individuals who make up these populations. Restoration is a somewhat different concept: It’s about giving back, as best we can, what’s been taken away, and making up for the damage and abuse we’ve inflicted. Beston argued that we need “a wiser and perhaps a more mystical concept of animals.” And in order to gain such an understanding of who they truly are, we have to at very least give back what we’ve taken from them. Going a step further, restoration isn’t really even about gaining a better understanding; it’s simply about the animals themselves. We do it because it’s right, and we do it to make up for what we’ve done that’s wrong. We do it because we can, and we do it regardless of the cost or the inconvenience to ourselves. If there are additional benefits that serve a wider, perhaps conservation-oriented, purpose, that’s certainly good, too. But the act of giving back is ultimately its own purpose – a true act of altruism. And if, as a result, we gain a “wiser and perhaps more mystical concept of animals,” then that’s a reward in itself. 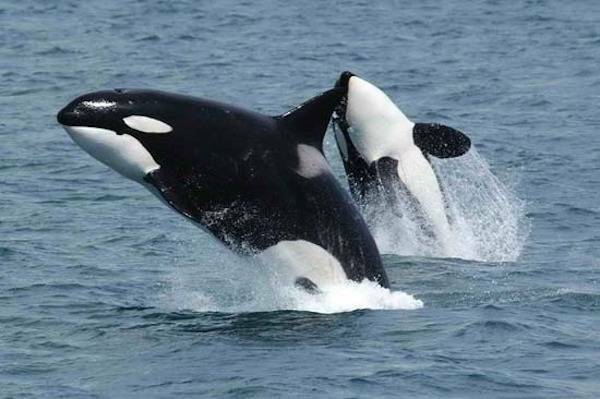 In the case of The Whale Sanctuary Project, we’re talking about animals who, for the most part, were born into captivity and have never even seen beyond the concrete walls and screaming audiences that are their entire world. They have never experienced the close family relationships that are the bedrock of life in the ocean; never eaten the food that’s natural to them; never lived the life for which 50 million years of evolution had prepared them. Rather, it is an act of contrition and a gesture of reparation, born of the recognition of human error, and an attempt to make up, if only in a small way, for the deep wrong that our own species has committed. In creating sanctuaries that can make up for some of what went before, we offer the best we can by way of restitution. And even though we can never fully recompense them for what they’ve lost, having their own sanctuary can help to heal the deep wounds we have inflicted upon the fabric of nature itself.